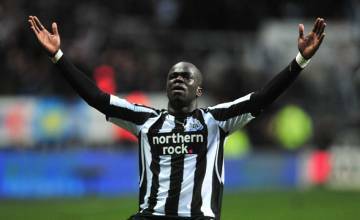 Pardew warns "overzealous" Tiote | NUFC Blog. Archive for tag: Pardew warns “overzealous” Tiote. Pardew warns “overzealous” Tiote, but why in public? On the eve of Newcastle United’s game with Manchester United on Tuesday evening, manager, Alan Pardew has issued a public warning to midfielder, Cheick Tiote, that he must not be “overzealous” against the so called ‘Red Devils’. Tiote does indeed have a somewhat poor disciplinary record having picked up some 10 yellow cards, and a red in the FA Cup game against Stevenage since he joined the club on 26th August last year.